Clio RS 197 / 200 Ball Joints……..
Are you getting a bad knock from your front suspension? Have you got a squeak when turning? 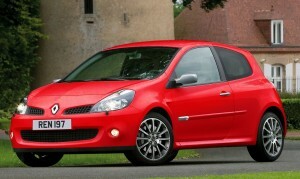 Renault say that you have to replace the complete hub carrier each time one of your bottom ball joints fail ! As you can see from our ‘Megane Hub Repairs‘ we like to help our customers to save money and not feel pressured into buying parts that they don’t need. Aarons Autos can now replace just the bottom ball joint on its own with no hefty bill for Hubs and Carriers that aren’t required, so if you have any questions please call us, our advice is FREE. £175.00 inc vat per side including 12 month warranty.